In our last blog post we talked about the do’s and don’ts of creating engaging content in Christmas emails. Since you already know what gifts will make your subscribers smile this holiday, it’s time to pick the right wrapping. Here’s a little inspiration for your Christmas emails design! It may surprise you to learn that design inspiration can be found in an unlikely place… your neighbor’s front porch! Like a Christmas present, a Christmas email should resonate with holiday spirit from the moment it’s opened. 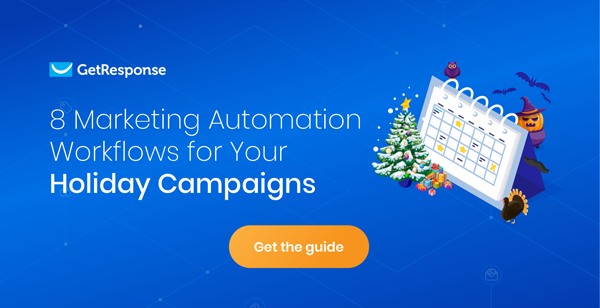 If you need any help in identifying key dates or important objectives in a successful Holiday Email Marketing Campaign, make sure that you check out our Holiday Guide, which has all the tips and tricks you will need to begin! Always keep in mind that subscribers decide in 2 to 5 seconds whether your email is relevant. 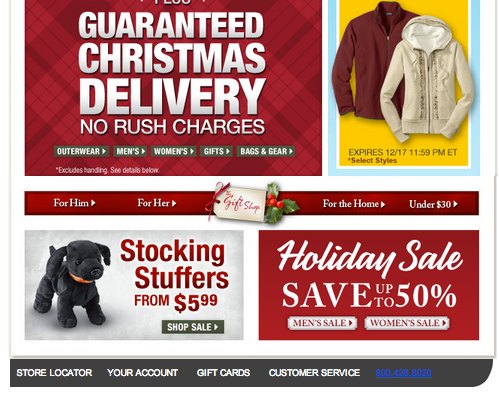 Your task is to make a great holiday first impression, especially in the top section of the template — the header. Keep the holiday tone in mind when picking template colors. Choose mostly red and green to create a Christmas impression. Use a reasonable amount of whitespace to avoid a cluttered look. Adorn your template with graphic elements associated with this special holiday: evergreen wreaths, red ribbons, gold bells, and Christmas trees. There’s no need for a makeover of your regular template. Just add elements as above and edit the content effortlessly using Email Creator. 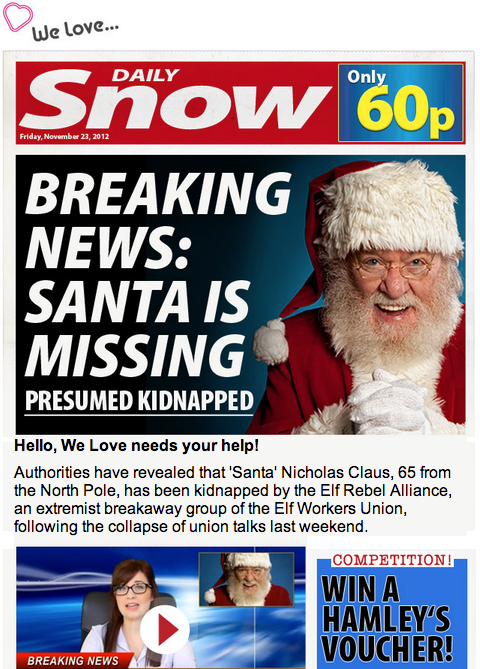 In a crowded inbox, your Christmas email designs need to stand out and break the routine of your regular newsletters. It’s the time of year to be more adventurous and enjoy creative freedom. So experiment with added elements in the header, and try new call-to-action buttons (e.g. “Get your Xmas gift!” instead of good old “Buy Now”). Neglecting those details might prevent loyal readers from recognizing your emails, causing them to unsubscribe from future campaigns. Did you know that 40 out of 100 subscribers are last minute shoppers who do their Christmas shopping AFTER December 21st? That means those people will be looking for shopping inspiration by viewing your emails on a mobile device. Choose a mobile template from our Email Creator gallery, then edit the content and personalize it with Christmas graphics. Focus on light graphics and avoid fancy animated GIFs. Use Inbox Preview to check your design for compatibility with devices such as iPhone, iPad and Android. 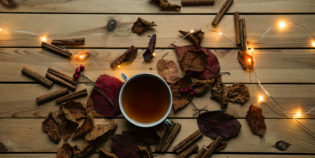 Christmas is a special time that we adore for its unique atmosphere. 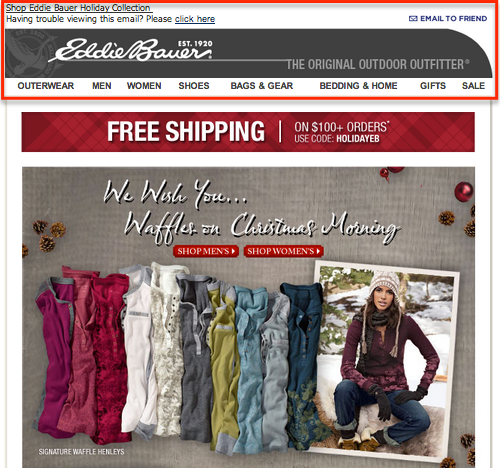 As you plan your email layouts, make sure the atmosphere isn’t spoiled by faulty display in different email programs. Test your holiday template using GetResponse Inbox Preview to make sure your email wrappings are eye-catching and attractive. After all, you can’t count on subscriber forgiveness, even during the holidays! Emails that don’t look right will be marked as spam, and you may feel the repercussions when you send post-Christmas campaigns. GetResponse Workshop – Sign Up For Key Takeaways!